And so we add Secret Rule to the long list of female-fronted metal bands. Actually, Italy's Secret Rule has been around since 2014, consistently dropping new albums and touring on a regular basis. The band, fronted by the best looking of the band members, Angela Di Vincenzo, arrives with their fourth long player, The 7 Endless, based upon characters in the Neil Gaiman comic book series, The Sandman. Essentially, Secret Rule digresses little from their past musical work. 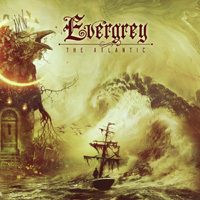 As I said of previous material, the band blends the essential elements of the genre: power metal riffs, synth orchestration, immense vocal arrangements, blazing solos, and hard rock groove. Everything here is equally bombastic and grandiose, but also rather predictable. Essentially, you know what you're going to get and it's more of the same. For her part, Ms Di Vincenzo has a clear, and operatic, vocal style that easily guides the melody of a song. However, often times her voice can be overwhelmed by the power of the heavy metal, an unfortunate side effect of the genre. Nevertheless, many song arrangements are a juxtaposition of lighter and heavier parts where, in the former, Di Vincenzo is heard better. Such is the case with Alone, Dream, or Delirium. Otherwise, the songs move with a power metal gusto delivered by a powerful rhythm section offering a thick bass line and thundering drums. After this, the arrangements generally lead to a terrific guitar solo from Andy Menario. Here and there, you'll find some quirky keyboard work as within Hidden Into A Dream and Birth. 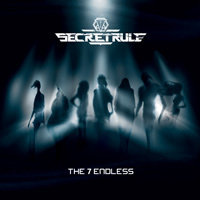 In the end, The 7 Endless is simply Secret Rule delivering more of their consistent melodic and symphonic power metal. If you liked past albums, you will certainly enjoy this one. The 7 Endless is simply Secret Rule delivering more of their consistent melodic and symphonic power metal. If you liked past albums, you will certainly enjoy this one.